For 31 days The Briton’s Protection, Fab Cafe Kings Arms, Kraak, Lass O’Gowrie, O’Shea’s Irish Bar, The Salford Arms, Satan’s Hollow, Taurus, Tiger Lounge, Retro Bar and TV21 will be hosting live drama, music, comedy and other events. Patrons for this year’s GM Fringe are Shobna Gulati (Sunita Alahan in Coronation Street), Arthur Bostrom (Officer Crabtree in ‘Allo ‘Allo), comedian Justin Moorhouse and actress and singer Stella Grundy (Intastella and The Bench). And there is still time for theatre companies, writers, artists, poets, actors and street performers to get involved. Anyone with an idea for a fringe show, or a venue with several shows, can register to be included on the website and in the brochure with a print run of 10,000. Manchester is being recognised as one of the most vibrant fringe cities and we are pleased to have links with Camden Fringe and host several Edinburgh Festival previews. 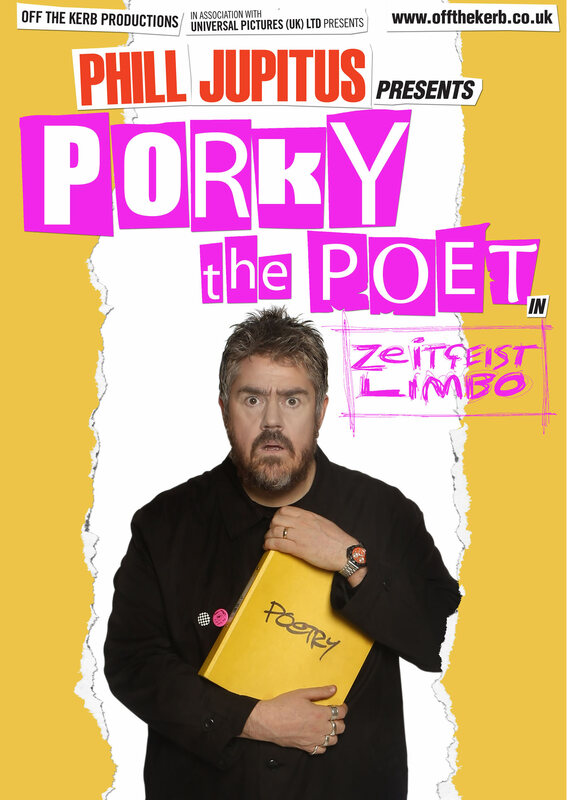 Comedian Phil Jupitus takes a break from Never Mind The Buzzcocks to pop in to the King’s Arms in Salford on July 16 with Porky the Poet in Zeitgeist Limbo, a preview of his Edinburgh show. Hotly tipped by Jimmy Carr and Michael McIntyre, comedian James Mullinger is Living The Dream on July 3 at the King’s Arms. He has appeared on TV with Jerry Seinfeld and on Comedy central interviewing Judd Apatow, Ross Noble and Daniel Craig. Ben Moor presents three shows about love, friendship and human connection in times when the main certainty is uncertainty, at the King’s Arms on July 4. Funny and romantic, surreal and reflexive, it also features treasure, canapés and the British Abbreviation Board (The B). “Hotter than a hot Madras” Ishil Khan-Jackson presents the smash hit of the Birmingham Comedy Festival I Am Happy, an energetic show looking at the secrets to happiness, at the King’s Arms on July 28. Drama premieres at the Lass O’Gowrie include Suspended In Space is a brand new play from Keith Temple, who has also written for EastEnders, Casualty, Doc Martin, Crossroads, Byker Grove and Dr Who, will be staged at the Lass O’Gowrie. 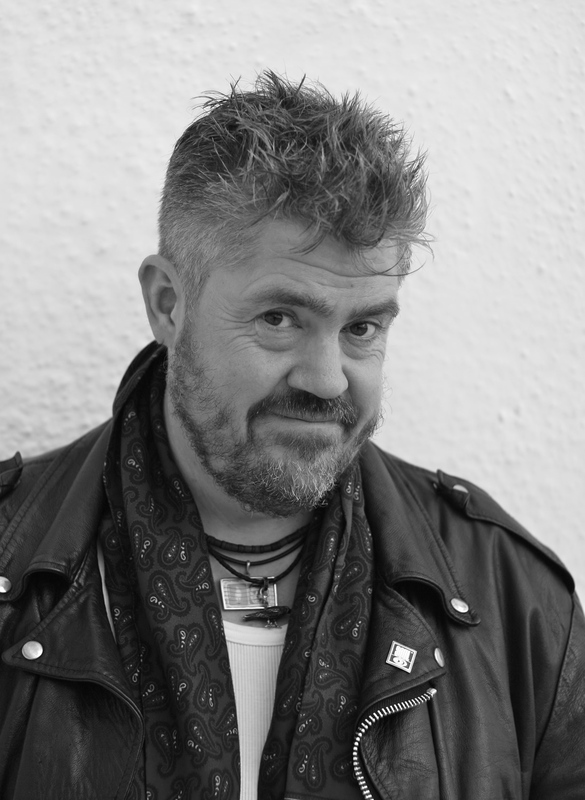 Keith has been a regular at Doctor Who conventions, having written Planet of the Ood in 2008 for David Tennant's Doctor in the TV series, and draws on his own experiences to tell a blackly comic tale of a star, an extra and an excitable fan trapped in a lift at a sci-fi convention. Diabetic Penguins is yet another premiere of a brand new play by Jess Lee, who appeared in last years Robots of Death and stars some familiar faces from last years production of Porridge. Wine of India, written by Nigel Kneale, was a Wednesday play on the BBC in 1970 and originally starred Brian Blessed, Annette Crosbie and John Standing. However the tape was wiped so this will be the first time this play has been seen in 43 years. It is set in the year 2050 when advances in medicine have resulted in a need for population control. People reaching the age of 100 must submit to a government controlled euthanasia program. Wine of India is adapted and directed by Dan Thackery. Meanwhile, written and directed by Colin Connor and funded by the Bolton Octagon, is a play about a girls’ football team in Belfast in 1981. It was awarded five stars when it was previously performed in the Not Part Of Festival. Rotten Apples is a brand new adaptation of a 1989 black comedy by Irish writer Alan Stevens, set in a Belfast police station and originally aired on Channel 4. Debris is a one-act play by Dennis Kelly, who adapted the Roald Dahl story Matilda for the stage and wrote BBC3’s sitcom Pulling. In this play a brother and sister try to make sense of their dysfunctional childhood and lie about their past creating several contradicting stories. Greater Manchester Fringe is also staging Big Sid by Jack Rosenthal, about a retired test cricketer who returns to life in a small town. This will be staged at the same time as the Ashes at Old Trafford, July 31 August 4. Rampant Plays present The Gambit by Mark Reid at the Briton's Protection. In the dark days of the Cold War, the two greatest chess players in the world have an encounter, which tears their friendship apart. Twenty-five years on, it has changed their world and when they agree to a reunion it seems more is at stake than a lost friendship, for the survival of the game and the future of their country has played a pivotal role. Mad Theatre Company present Posh Tramps and Papooses at the Kings Arms in Salford on July 20 and 21. Once upon a time in a council house not so very far away lived Ma. She was at the end of her tether with her feral kids and was about to be evicted because of the bedroom tax. However Ma’s Prince Charming appears in the guise of Hector the inspector whom she meets on Uniformdating.com. Posh Tramps & Papooses is a hilarious modern fairy tale where class and cultures collide. For more details on how to register a show or a venue visit http://greatermanchesterfringe.co.uk. Full listings and tickets for shows at the King’s Arms www.kingsarmssalford.com. More details, dates, casts, shows and tickets will be released by the end of May.